What is your website’s user experience like? Is your site mobile ready? Does your site look like it was built in the last 3 years? Even though your firm may have a website, if it looks outdated or isn’t optimized for mobile devices, it may leave a bad impression with potential clients. Janik LLP came to JurisPage looking to redesign their website. Their site was outdated, was not mobile-responsive, and was not easy for them to update. This was a problem in particular because the firm was expanding, adding new offices and staff. A mobile-responsive website is a must for any law firm. 60% of all web traffic comes from mobile devices. And, if your site is not mobile-responsive, Google may hurt your website’s search engine visibility. How can you tell if your site is mobile? Google has a free mobile-friendly test tool. Though you may be thinking, “Most of my clients are from referrals. They probably wouldn’t be searching for my firm from a phone,” that may not be the case. When someone gets your business card, they likely have immediate access to a mobile device so they can look up your firm. And if your website isn’t easy to view on their smartphone, it leaves a bad impression. Blog Posts: If you want to increase your traffic, you should be blogging once a week. Case Results: Your potential clients want to see that you’ve successfully handled cases like theirs before. Testimonials: Show your potential clients that your current clients like you to inspire confidence. If your site is not mobile-ready, this should be remedied ASAP. When you talk to a web designer, make sure the site being built is “mobile-responsive”. This is preferable to building a second mobile site. As for the layout, make sure your designer knows what your firm’s goals are (more traffic? impressing potential clients? some combination of the two?) and has experience making good-looking law firm websites. And finally, make sure that the designer is going to be using a platform that’s going to be easy for you to use. For this, Wordpress is good, but a front end editor is even better. The site we had previously was very outdated. We wanted something more contemporary looking that would be better on mobile devices. We didn’t want people who looked us up online to be turned off when they saw us. We wanted the site to reflect that we’re a progressive firm. If you went to our prior website from when the internet was first born, it didn’t reflect that. Over the last couple of years we’ve opened offices in South Carolina, California, as well as other parts of the state. We wanted our website to reflect that we handle cases all over because we have attorneys that are licensed to practice all over. 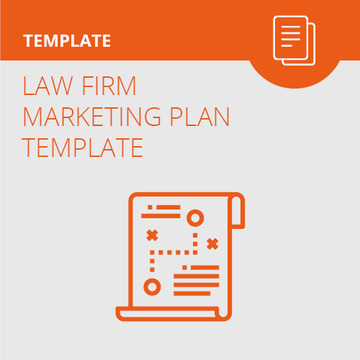 What drew me to JurisPage, besides the fact that the price point was what we were looking for, especially compared to what your competitors charge, is that you’re focused on law firms. When you go to other people out there and they do steel companies and big box stores but you don’t see any law firms as clients, or at least posted on their example pages. It’s a niche market and you know what people look for. And looking at the sample designs I liked what I saw. You could tell that you worked closely with each firm to get that look they wanted. We wanted an impossibly quick turnaround time. It went way better than we ever could have hoped. It was nothing short of a miracle that you were able to get it put together, get it approved by senior management, and get it up and running in that short an amount of time. It was one of my most pleasant surprises how quickly this came to pass. Redesigning their website gave Janik LLP a modern presence while simultaneously making them more accessible via a mobile-responsive layout. Now, they’re also able to effortlessly add new attorney pages and office locations as their firm continues to expand. Getting your site on the JurisPage platform will make it mobile-responsive so clients can easily find you online from any device. Additionally, it allows you to make quick updates with an easy front-end editor. 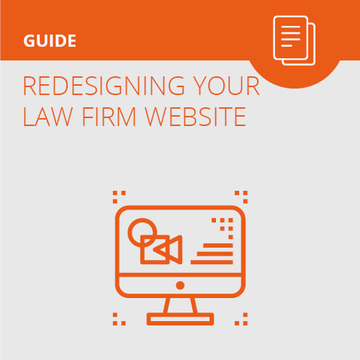 This way, your website stays fresh with new blog content, new results, new attorneys, new offices – whatever is happening in your firm and in your area(s) of practice can be mentioned quickly and easily on your website.